Coritech Services has been involved in a diverse portfolio of projects throughout the industrial sector. 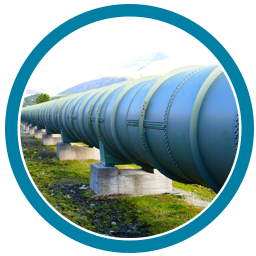 Whether it's power plants, utilities, or gas pipelines, Coritech Services has the skills and personnel to provide a custom control system needed for process control applications. Coritech provides custom product design for a variety of clients. We develop custom control systems for many manufacturers and OEM's in need of a single or small volume solution. Industrial Control Systems - Providing custom control systems for process control applications. Electrical Schematics and Documentation -AutoCAD drafting and Autodesk 3D modeling. Programming - Programmable logic controllers (PLC), embedded systems and HMI/SCADA software specialist. Fabrication - Design and fabrication of enclosures and packaging of control components. We have had the privilege to work with many leaders in the industrial sector.